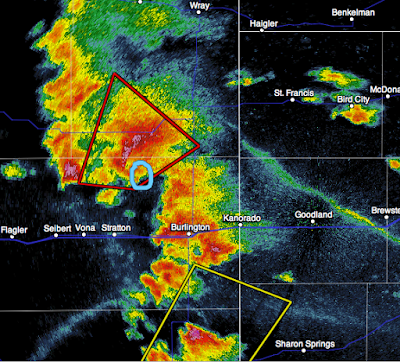 Here is the 7pm position of the latest tornado in eastern Colorado. It is north of I-70. Tornado is moving northeast toward the border west of St. Francis, Kansas and US36.